From Snow White to Cinderella, Disney has, over the years, taken several princesses from traditional fairy tales and turned them into unforgettable cartoon characters. Girls of all ages can identify perfectly with their charm and beauty, whilst the Princess product range offers the ideal care and cosmetics products for your kids. 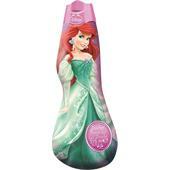 Shower Gels, Soaps and other daily hygiene products are offered with Disney princess motifs and your daughter is sure to love using these even more when it’s time to go to the bathroom. 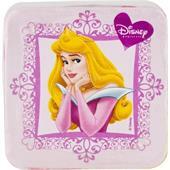 Many care and cosmetics products from the Princess range use a playful note and are offered with such adornments as a crown or a crystal ball. 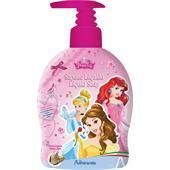 This child-friendly design will be love in particular by many girls who, along with you, will take a look at our Shower Gels and Bubble Baths, or Soaps and Hand Towels and here discover care products fit for real princesses. 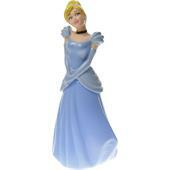 Of course, Disney also offers other characters and motifs which you can also find in our countless categories. 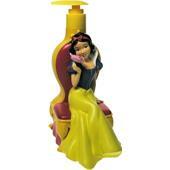 Grant your children a special bathroom experience and take advantage of our offers!